I have seen that in person, it used to sit outside a strip mall in Tucson for the longest time. Toyota had a concept somewhat similar. Also there was an International Scout with like camper. Believe these Duracozy's are still in production. 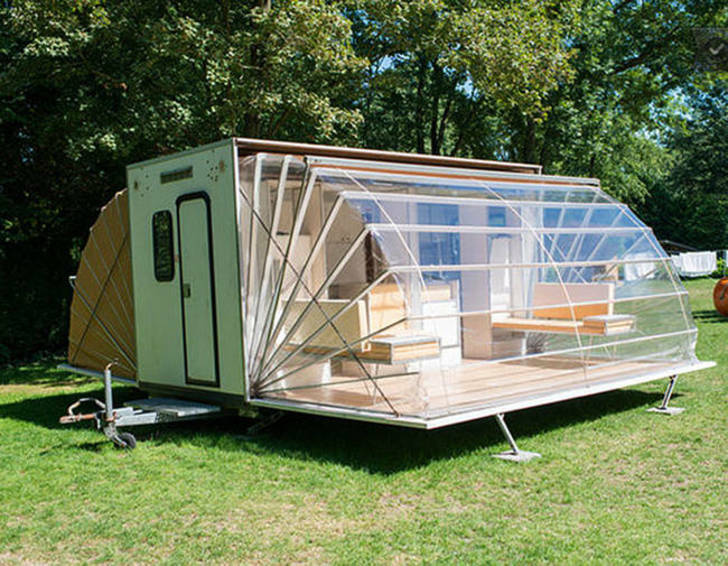 This trailer is kinda neat too. Thanks! They do have an electric motor on the front also, but the only thing driving the rear wheels is electric. 41mpg city, only ~$1k more than the gas only model, and some people who've road tested it say it drives better than gas only. I think a similar system would work well in an offroad vehicle. Sorry. 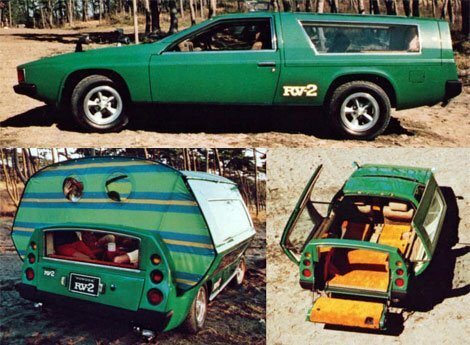 I probably would still bring up Station wagons if we were talking about BOF trucks. Welcome! TFL did a fairly decent test. Hybrid makes more power than the non, said it feels zippier. Not crazy about the front end styling, but over-all not bad a vehicle. Sorry. That Topkick or what ever it is isn't Ironhide. And Bublebee is a Beetle. Always. Never have towed with a FWD vehicle. Would like to try and see what it is like, just out of curosity. One of the campgrounds I've gone to several times is a little bit hilly, and has gravel roads. Last year when I was rolling out, a FWD minivan was struggling real badly to get traction, trying to pull a tent trailer up a small hill. The tongue weight lightens up the front, and makes reduced traction climbs a challenge. In the same campground, I could not back my unloaded pickup truck into my campsite without 4x4. It could not start to reverse up the hill from a stop without spinning tires. I'll only every buy a 4x4 or AWD vehicle for towing. How 'bout that midsize truck comparison, eh? The tongue weight lightens up the front, and makes reduced traction climbs a challenge. That was exactly the issue I was having. Our Jeep was AWD. But, i don't believe the rear kicks in unless the front slips? All I know is it sucked for towing. Ahhh... that makes sense. Haven't driven FWD vehicles all that much, if I did it was the girlfriend's or wife's car, and we usually take my truck instead. When my buddy was here from AZ over the summer, we had to camp in a campground...the spot he found was in a hole, barely enough room to get my truck/trailer and his 4Runner/popup camper in. I had to put it in 4-Lo to back out of it. It was literally right off the pavement. Every time I think I could live without 4WD/4-Lo....realize how handy it is. Lets face it, midsize trucks are boring...it is like discussing what is the best at mediocracy. Speaking of a Topkick (and yet more ADD! ) there is a CC flatbed 4WD sitting on 54"(?) Conti's at a local lot here. Coming back from lunch with the with the wife, I was slowing down to take a picture of it...and she says you're not stopping to take a picture of that are you!? Umm...no..., sooo I kept on going. I'll have to swing by later (without her) and snag a picture of it. 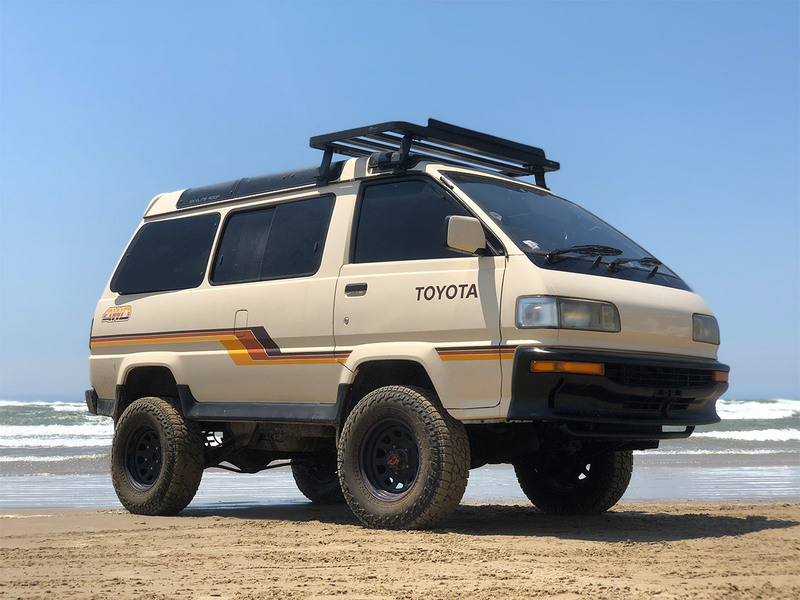 That toyota RV2 looks like a frankenstein love child from a delorean meeting a volvo wagon, and that greenhouse camper is pretty interesting as long as you aren't camping in arizona in the summer. Speaking of a Topkick (and yet more ADD! ) there is a CC flatbed 4WD sitting on 54"(?) Conti's at a local lot here. Coming back from lunch with the with the wife, I was slowing down to take a picture of it...and she says you're not stopping to take a picture of that are you!? Umm...no..., and I kept on going. I'll have to swing by later (without her) and snag a picture of it. I'll would probably get the Ban Hammer if I posted those pictures up. She isn't quite the car nut I am, but she appreciates some things, mostly vintage iron. We were tailing a military 5 Ton the other week, she pipes up "ohhh...we need one those those!" So she kinda gets it. No kidding, there's nothing like shag carpeting, but that talk is for a different forum!